This vertically curved portable Fabric Display Stand is It’s a great alternative to the usual straight design while providing the traditional functionality of a trusted trade display design. 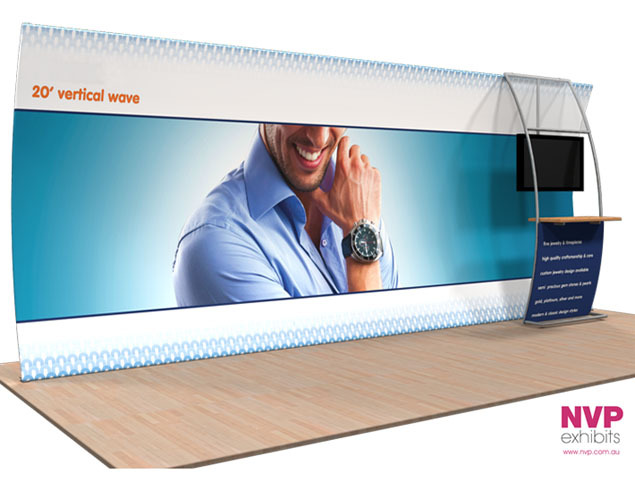 This exhibition stand offers great functionality and adaptability with it's detachable stand off counter, graphics and monitor mount. Tool free push button installation, easy transportation and storage and stunning elegant look - expect to impress and be impressed with one of the attractive stand packages in Australia.